We have a variety of free downloadable material available here, from purely factual resources like the FAQ and Errata to useful tidbits like the Character Record Sheets to downloadable images to full adventures. Some of the files on this page require the free Adobe Reader. Dunkelzahn’s Will – It’s been four years since the First Wyrm of the UCAS bought the farm, and people are still fighting over scraps from his hoard. Here’s the latest updates. 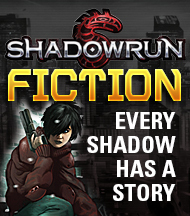 Shadowrun Timeline – Explore the history of the Sixth World with the timeline from Shadowrun, Third Edition. 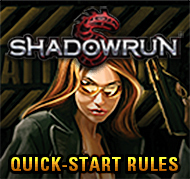 Slang Guidebook – Confused about the slang language employed in Shadowrun? Check here for the low-down. Corporations, crime syndicates, and goverments may rule the world, but all of them are driven by individuals – one of the most important tools in a Gamemasters arsenal. Gamemasters only! In need for a quick one-shot session, or something to use in the middle of the long campaign? Look here for adventures and adventure ideas. The Family Jewel – an introductory adventure for new Shadowrun players, with ties to Survival of the Fittest. 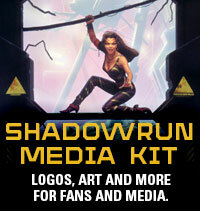 Shadowrun Missions – multiple adventures designed to be used with the Shadowrun Missions campaign setting.